I am a first year doctoral student working with the MVP (Modernist Versions Project) and INKE (Implementing New Knowledge Environments). My ongoing project seeks to use electronic frameworks to track and evaluate places of aesthetic rupture in modernist texts that occur as their textual and bibliographic properties multiply across editions and translations. By seeing modernist texts as fractured, I seek to evaluate textual changes as instances in which the historical contexts for modernity exert their influence on the literary forms of modernism. In the Maker Lab, I’ve recently completed my contributions to a collaborative survey of projects using RDF and Linked Data. RDF (or the Resource Description Framework) produces subject-object-predicate expressions (known as triples) to define relationships between different entities. 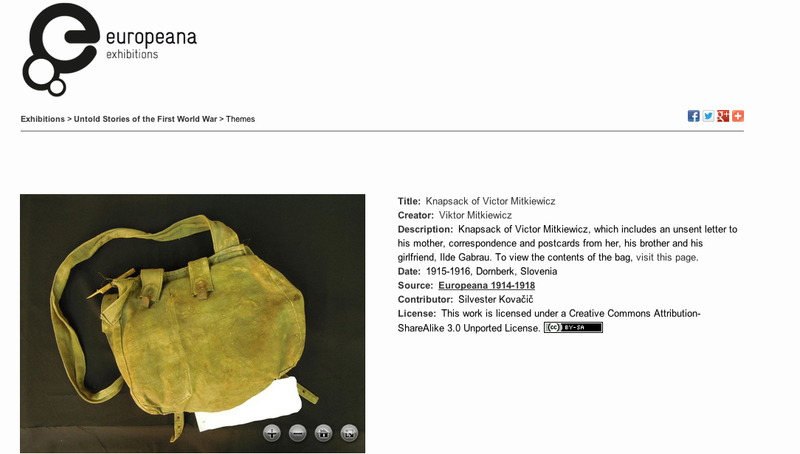 By linking metadata used to catalogue cultural heritage objects, RDF can generate digital catalogues and visualizations that allow users to postulate new relationships between archival materials. Bringing my interest in textual materiality to bear on implementations of RDF has raised a number of interesting questions. For instance, while researching Linked Jazz, a cultural heritage project that allows users to explore connections between historical jazz figures, I began considering the relationship between the project’s visualization output and its archival dataset. How can visualization tools not simply be used as dynamic indexes but also as a way to postulate new connections between materials? What exactly does the visualization represent? Similar questions arose while researching Europeana, a catalogue that aggregates metadata from heritage institutions across Europe. My question this time was not about the representational dynamics of visualization tools, but rather digital records. How do we avoid conflating the digitized representation of an object from the material object it catalogues, while still using metadata to make meaningful arguments about archival material? What possibilities exist for authoring digital records of material objects? The last question is one I believe the Maker Lab is uniquely positioned to address, since our projects in modernism and maker culture occupy the uneasy terrain in which materiality and information converge in the space of the digital archive. Querying the representational dynamics of digital archives allows us to view them not as objective windows into archival material, but rather as phenomenologies that actively mediate our experience of their datasets. Approaching digital archives not as tools, but as phenomenologies, allows us to work through the role they play in mediating our interactions with archival materials online. Post by Alex Christie, attached to the ModVers project, with the versioning tag. Featured images for this post care of Linked Jazz, at linkedjazz.org; and Europeana, at europeana.eu.